Looking good and feeling good about yourself starts with good skin. Your skin is your canvas, and if your canvas doens't look nice, how do you expect your artwork to look nice? You'll create a nice canvas by taking good care of it. Keep your skin healthy and clean it every day. Find out which products work best for you and stick to those. You'll also need creams to moisturize your skin, because a lot of toners/facewashes dry out your skin. 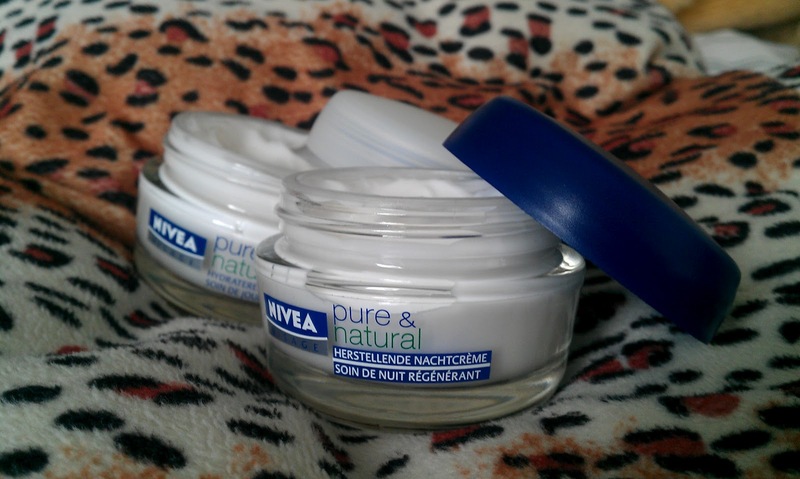 I recently purchased the Nivea Pure & Natural day- and nightcream. I've been really liking these and that's why I'm going to tell you guys a little something about these! This is the hydrating daycream for normal to combination skin with argan oil and biological aloë vera. Also great for sensitive skin because 95% of the ingredients are of natural origin. 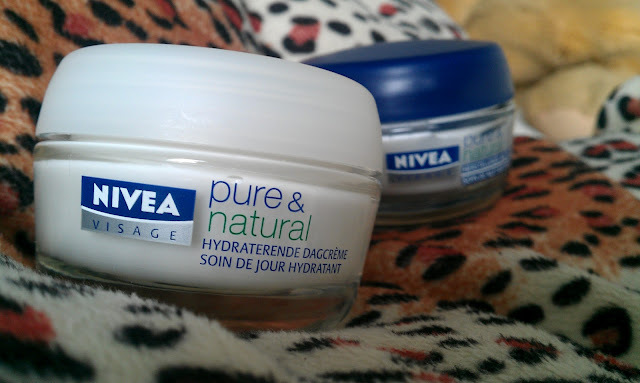 This daycream feels good on the skin, it kinda feels like if leaves a protecting layer on your skin throughout the day. This cream makes my skin a bit more oily then my skin usually is, but this cream also prevents me from getting breakouts and it moisturizes really good! This is the repairing nightcream, also with argan oil and biological aloë vera. Again, great for sensitive skin since 95% of the ingrediets are of natural origin. 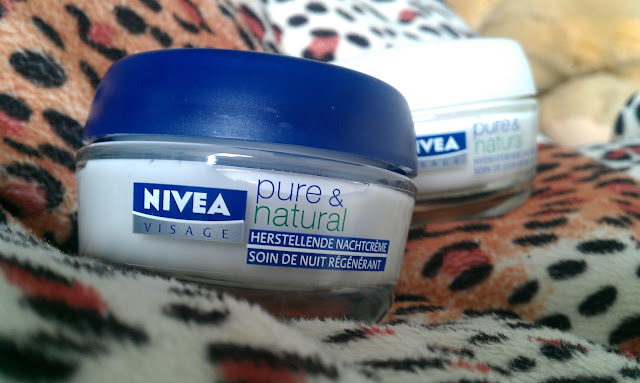 I apply this cream every night after I've cleansed my face really good. You don't want to go sleep with leftover make-up on your skin, because that's what causes pimples most of the time. After having this cream on my skin overnight I wake up with somewhat oily skin and better looking skin... How did this happen? My skin seems to look better everytime after using these creams even though it makes my skin quite oily. 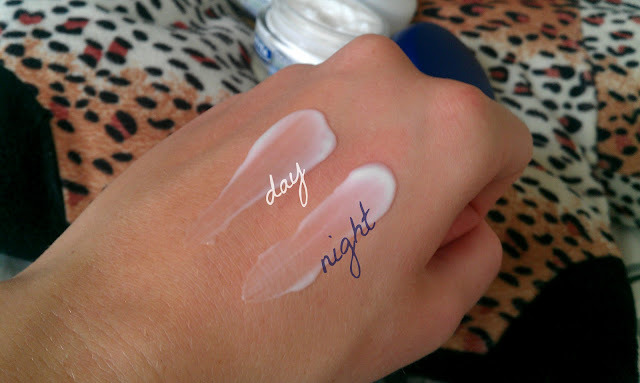 I don't care about the oily skin at night, but I do care about oily skin at daytime because it makes my face shiny. I've only been using these for a few days now, I'll continue using it and see if the oiliness will decrease. 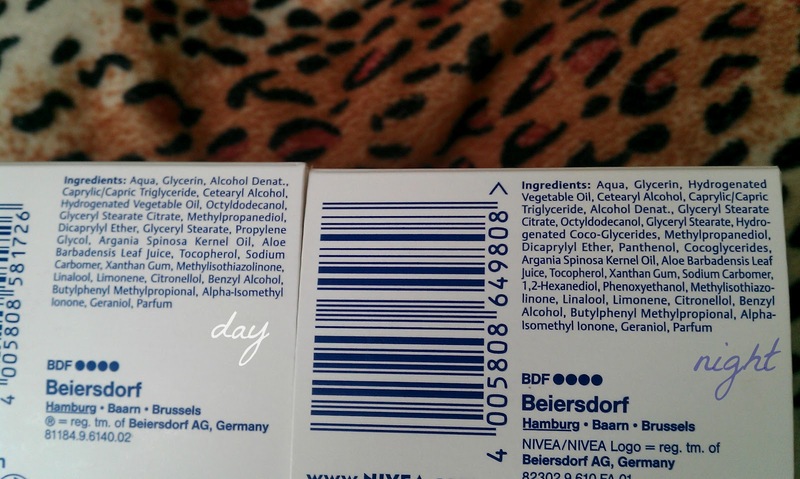 The formula of the daycream seems a bith thicker than the nightcream formula. I also think that the daycream has a stronger smell, which I don't particulary like, but it doesn't bother me too much. I don't know a lot about the ingredients, I only see water listed first and perfume being listed as last, which is a good thing. 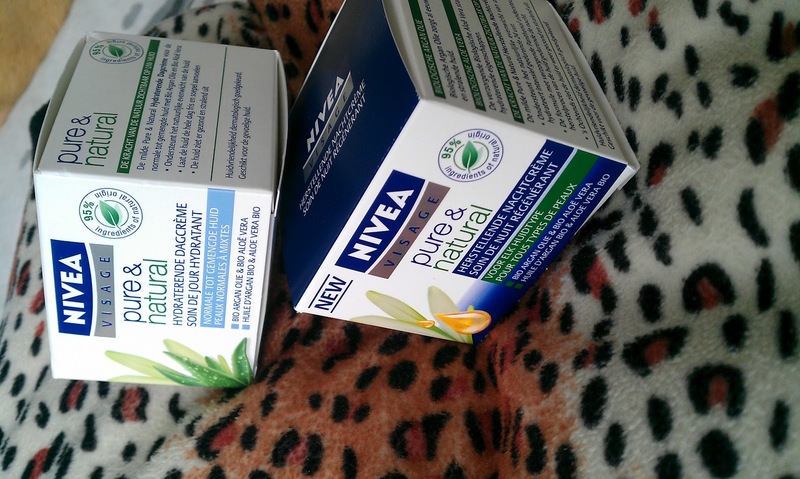 These creams retail for €8,99 in my drugstore, the price may differ from where you live. I used a leopard pillow as background for these pictures, I kinda like it tbh. :) I hope I informed you enough with my review! What moisturizer do you use every day? this looks really good!I love nivea! Nice, they seem pretty good! I use coconut oil as a moisturizer and makeup remover, and Tropical Traditions' creams.